Note: At any point that (version) is present, enter/insert/reference the version of Matercam in question. A warning window will pop up. Select OK. Select OK in the Options window to see the changes. 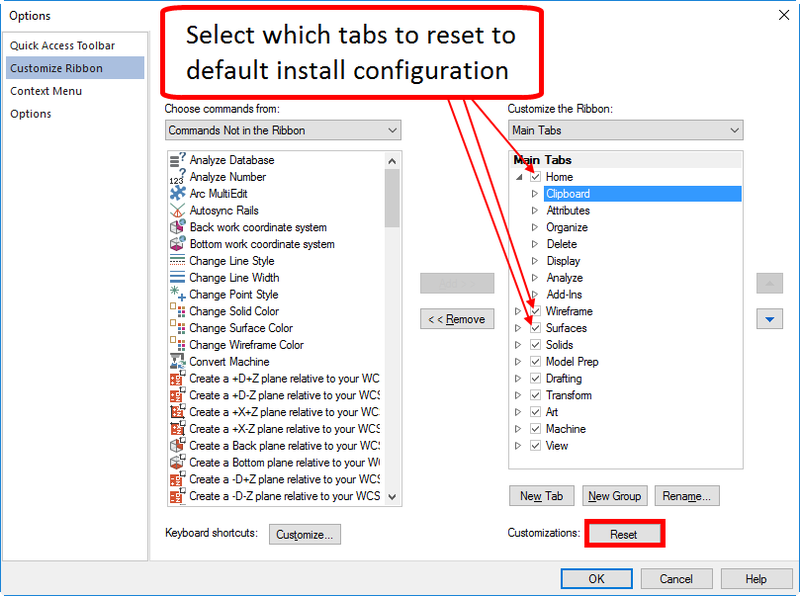 Check the boxes beside the tabs you want to reset to default install configuration. A warning window will pop up. Select Yes. You can switch between customizing the Quick Access Toolbar and Ribbon in the menu on the left hand side of the Options window. 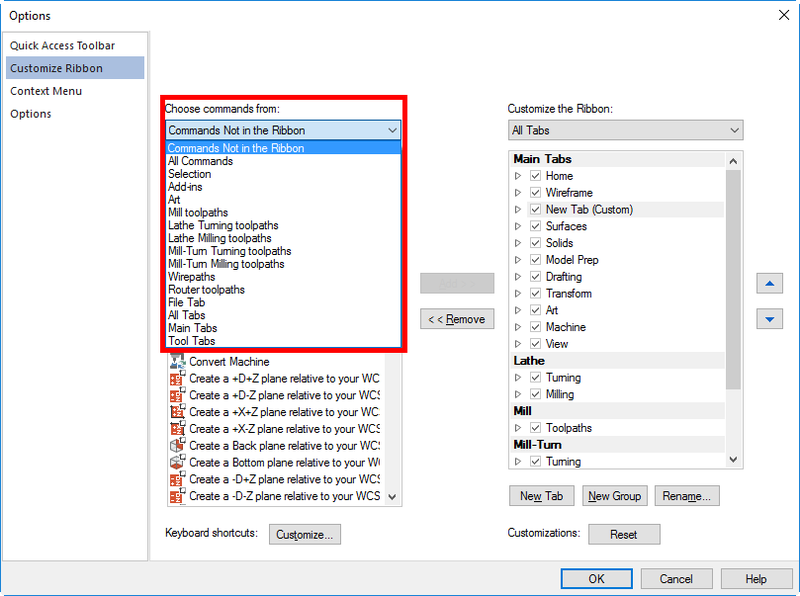 Choose the commands that are not in the Quick Access Toolbar and select Add or choose the commands currently in the QAT and select Remove. 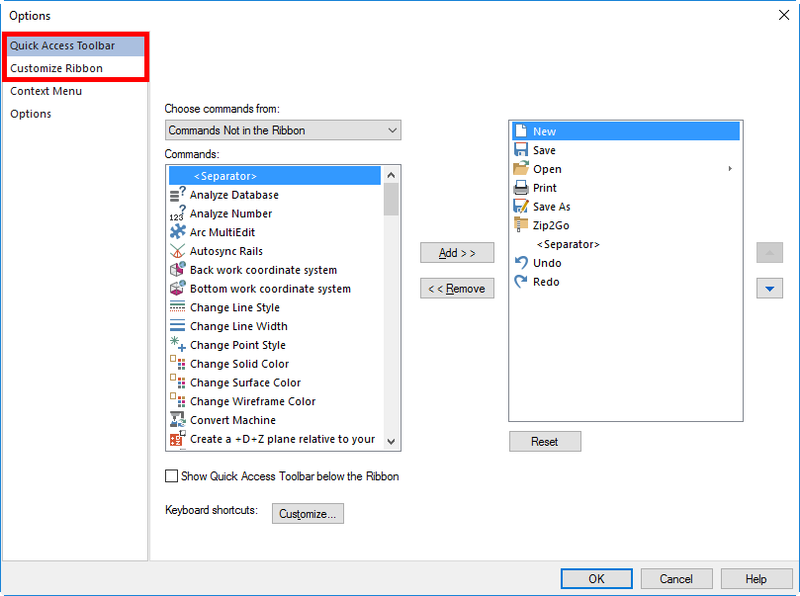 The Ribbon tabs can be activated to appear or deactivated to disappear by checking the boxes beside them. 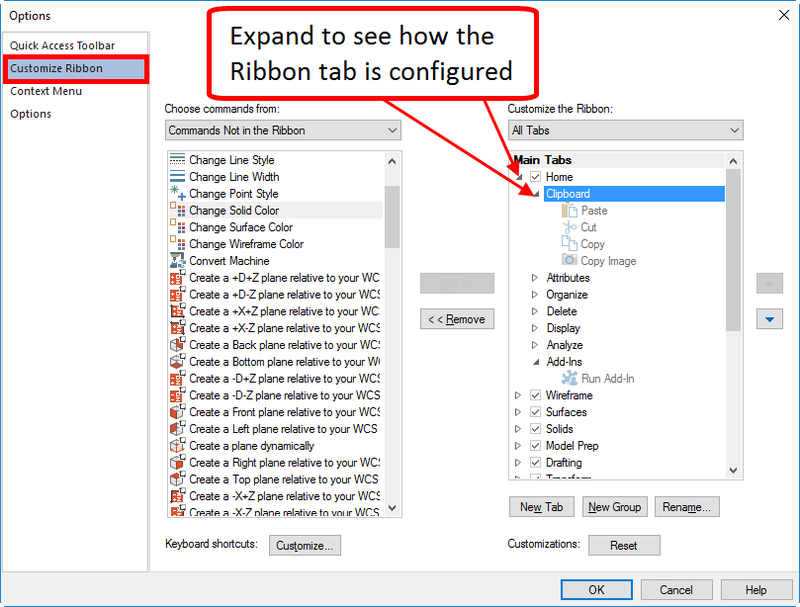 Choose the commands to add or remove from the tabs that are displayed in the Ribbon. Right click over the tabs section and select New Tab. 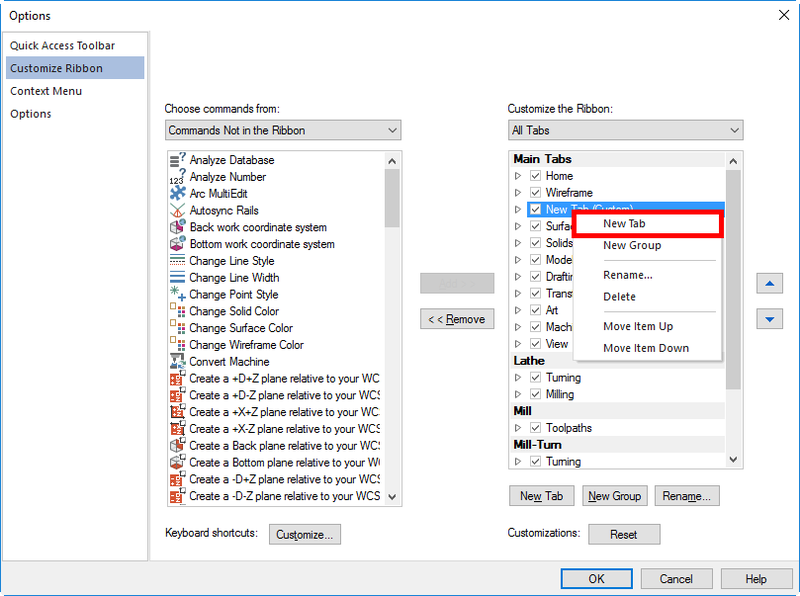 You can also create a New Group that groups commands in a Ribbon tab. Name the new tab appropriately. 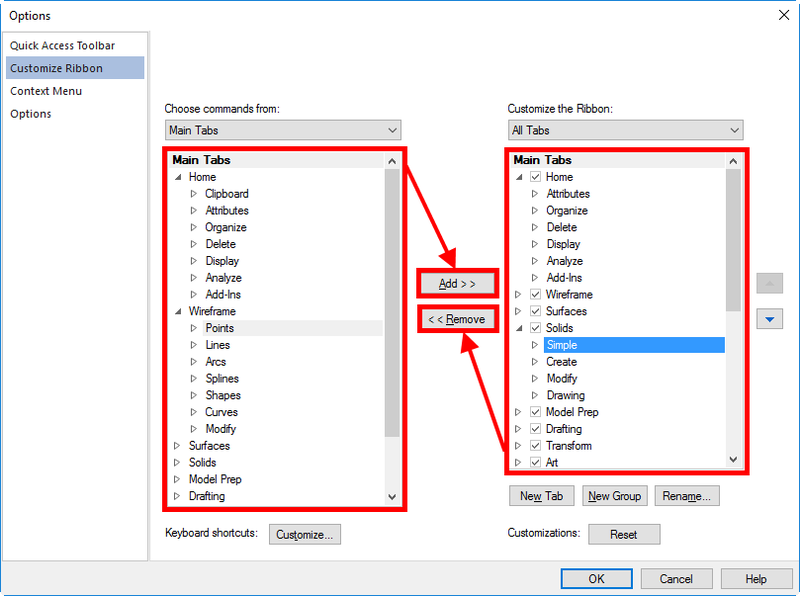 While selected on this toolbar, use Add button to add desired commands. Note: Icons from different categories can be added to the same Ribbon tab. 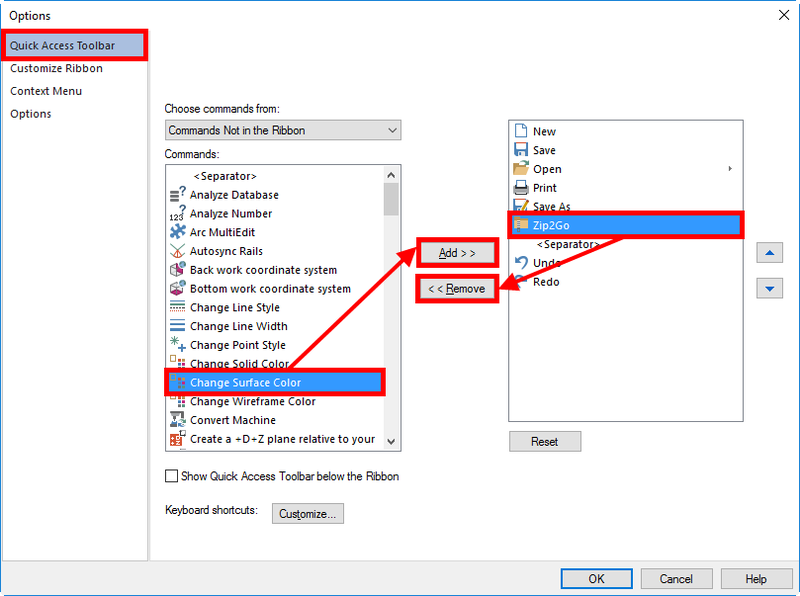 Note: Icons can be added to existing Ribbon tabs. 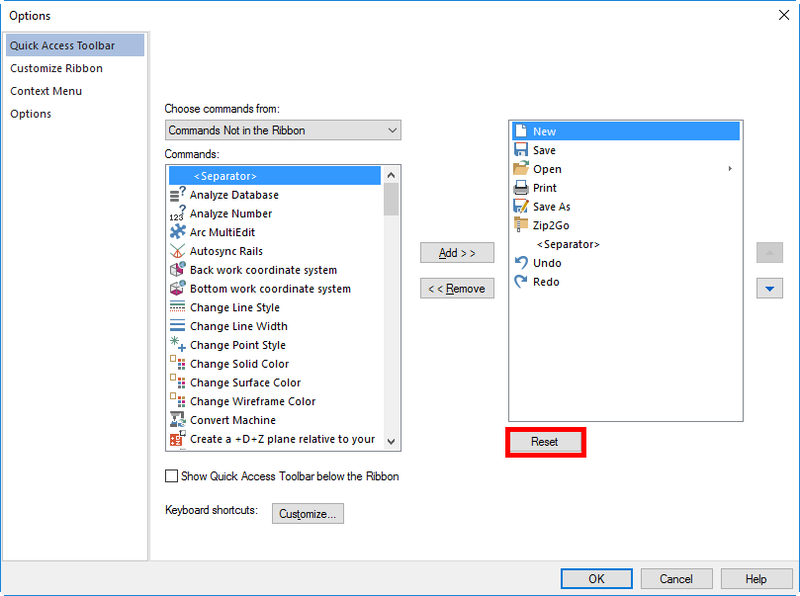 Toolbars are contained within the workspace file which is user specific. 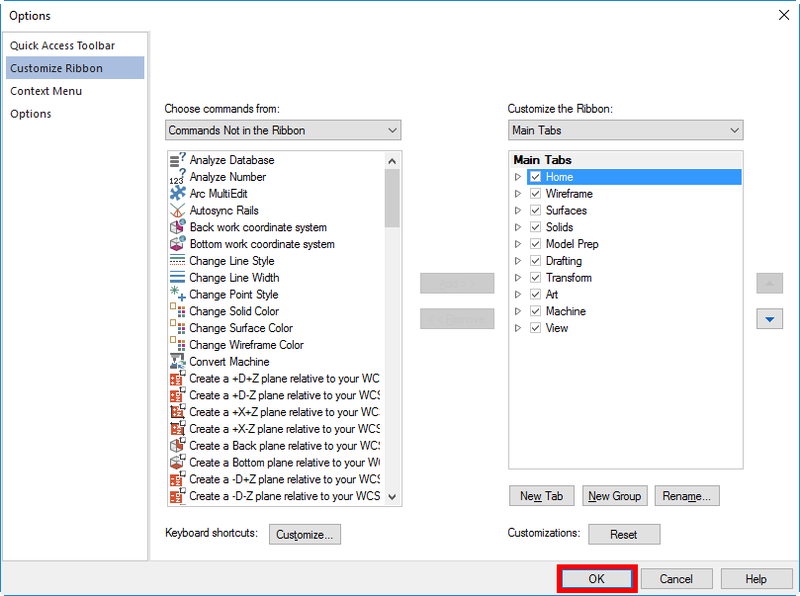 Mastercam 2017 comes with only one workspace that can be used or modified. 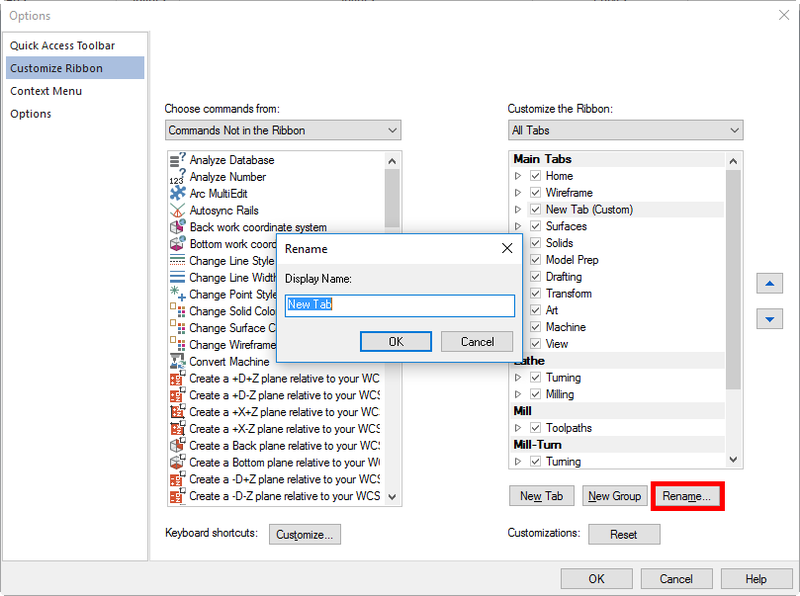 The option to create custom workspaces is no longer available. Copy Mastercam.Workspace to a backup location. 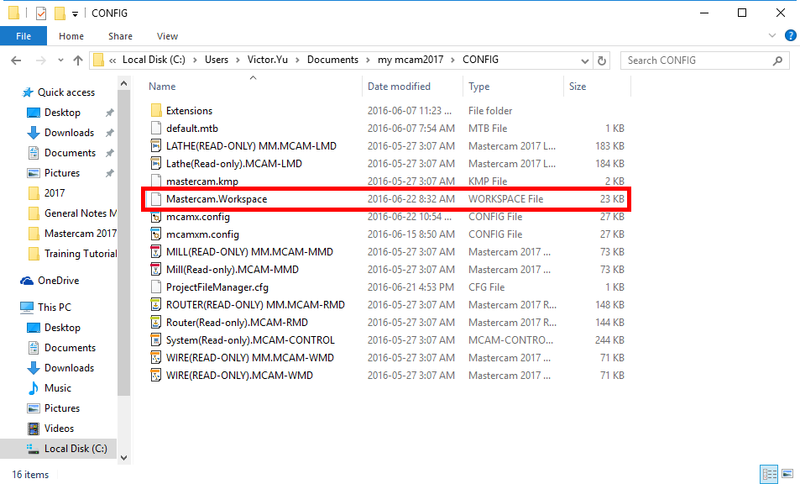 To restore this workspace, add it to another user or add to another workstation and place the file in the same location. Keep in mind that workspaces are user specific.